Casa Caesarea was recently so proud to host the most fabulous of events – the 90th birthday of a remarkable woman. 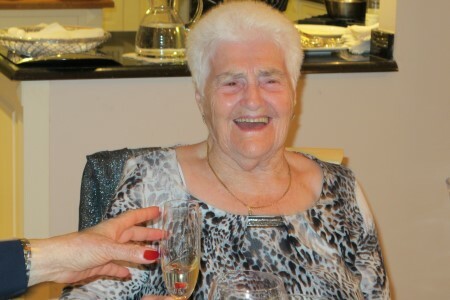 Raymonde Levy turned 90. And to celebrate, her family decided to spend a few days with her at Casa Caesarea, AND treat her to an exclusive Chef Dinner. The dinner was prepared by the talented Gaby Shachar. He suggested a 9 course dinner – a course for each of Raymonde’s decades on this planet. It was eagerly accepted and turned into way more than that. More than 9 courses, more delicious, more extravagant than anyone expected.